Figure 1: Sezincote, Moreton in Marsh as depicted in the 1884 sale particulars. Photograph by Jan Sibthorpe © 2013. ‘Home of the Oaks’, exotic Sezincote. Sezincote House and its gardens, a mirage of India in the heart of the Cotswolds, were created, largely as they are seen today, in the early nineteenth century. The house, outbuildings and (pleasure) gardens, owe their creation in the ‘Indian manner’ to the collaboration of its owner, Sir Charles Cockerell, (1755 – 1837), his brother, the architect Samuel Pepys Cockerell (1754 – 1827), the artist Thomas Daniell (1749 – 1840) and to a lesser extent the landscape gardener, Humphry Repton (1752 – 1818). Among them, these men possessed the knowledge, expertise and money to create a distinctive vision of India in the English countryside. The basic structure of the house is that of a typical Georgian villa, of which the exterior has been given a ‘strong infusion of Mughal architecture’. The interior, in stark contrast, is neo-classical in design. Once the home of Sir Charles Cockerell, banker, baronet, Member of Parliament and employee of the East India Company, Sezincote is now the home of Edward and Camilla Peake and their young family; Edward Peake’s grandparents, Sir Cyril and Lady Kleinwort bought the estate in 1946 from the Dugdale family, ‘dramatically’ rescuing it from a ‘long and romantic decline’. 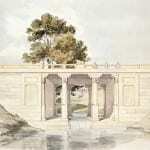 Whereas other case studies in The East India Company at Home, 1757 – 1857 project have focused on Company families who sought to design, build and buy essentially neo-classical houses, this case study examines a house whose design explicitly referenced the imperial connections of its owner. 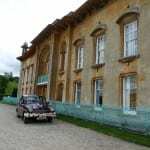 Sezincote is thought to be the only ‘Indian’ country house ever built in England. In a broad sense this case study asks why, and how, Sezincote emerged in this manner in the early nineteenth century and what does its design reveal about the impact of empire on domestic Britain? The question of ‘why’ Sezincote emerged in this way cannot be adequately answered with the evidence available: although there is much correspondence concerning the financial and estate management of Sezincote, there is very little that relates directly to its conception and construction. Therefore this case study will instead explore the cultural contexts in which the house, and its gardens, was devised. Specifically this analysis considers who the Cockerell family were and how their background allowed them to conceptualise, and realise, this country house in an Indian idiom. It explores the broader context within which Sezincote was built and examines the extent to which Indian styles and motifs impacted on British architecture and other media in the early nineteenth century. It also suggests specific influences which might have provided the catalyst or inspiration for the creation of Sezincote at this particular moment in time. 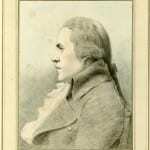 Sezincote’s story does not, however, end with the completion of its creation. 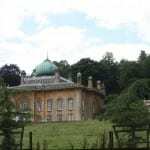 By following Sezincote into the twenty-first century this case study further explores how, through the careful conservation and maintenance by its current owners, it retains the ‘Indian Manner’ to the present day. This intergenerational approach provides a ‘then and now’ perspective of both the house and gardens and attempts to shed light on the way in which the families associated with Sezincote have engaged with its buildings and it histories, and by implication, the notion of empire. By the standards of early nineteenth-century country houses, Sezincote was relatively small. Its underlying structure follows the conventions of Georgian villa design, with a central block flanked by wings ending in pavilions. Nevertheless the façades employ a number of Indian architectural devices, which are explored further in this section. 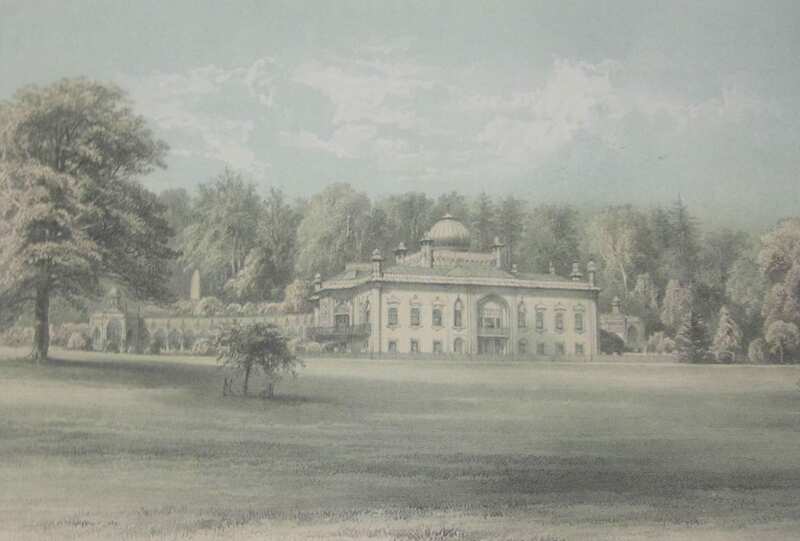 Sezincote’s association with the Cockerells and the East India Company began in 1795 when Colonel John Cockerell purchased the estate just prior to his retirement from the Company’s military service. John died in 1798 and the estate passed to his brothers, Charles and Samuel Pepys and sister Elizabeth. In 1801, Charles purchased the house outright and began transforming it. Like his brother John, Charles called upon Samuel Pepys Cockerell to mastermind further alterations to Sezincote. These alterations were to be far from simple. Many of Samuel Pepys Cockerell’s commissions came from his family connections to East India Company men. Whilst his reputation was largely that of a classicist, he was also criticised for his controversial and original designs. Although the design and build of the house were the responsibility of Samuel Pepys Cockerell, Thomas Daniell ensured that the design elements remained faithful to the drawings of the buildings he had sketched in India. The Royal Institute of British Architects’ (RIBA) library holds an archive of Thomas Daniell’s drawings for Sezincote which demonstrate his influence in the design of the landscape and in the garden structures. In terms of a legacy to British architecture and the impact of empire on domestic Britain, Brighton Pavilion is the only notable building influenced by Sezincote, beyond this, no national style really endured. 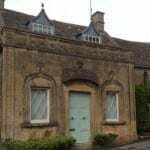 Nevertheless, there is evidence of some small-scale localised imitations in the Cotswolds; Spa Cottage at Lower Swell and New Market at Cheltenham. In 1884, Sezincote was bought by James Dugdale. It was to remain in the Dugdale family until 1944 when Sir Cyril and Lady Kleinwort took over the house and estate in a somewhat dilapidated state. In the 1950s, the Kleinworts restored the exterior and interior of the house to their nineteenth-century splendour. To read the case study as a PDF, click here. The text and research for this case study was primarily authored by project associate Jan Sibthorpe. Thanks to Edward Peake for allowing Jan generous access to Sezincote house and grounds and for his time in discussing Sezincote’s contemporary life. 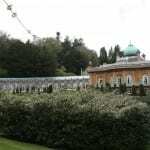 For information about visiting Sezincote, visit http://www.sezincote.co.uk/. Jan Sibthorpe retains the copyright on this research. Hello, I was wondering when this case study was due to be published as I am incredibly eager to read it? We’re hoping that the Sezincote case study will appear online in late March or April. Dear Hannah Grant–we hope you enjoy Jan’s rich case study. From Summoned by Bellsby John Betjeman, 1960. Betjeman – celebrated writer, broadcaster and poet – was a regular visitor to Sezincote in the 1920s, as a guest of the Dugdales, the then owners of Sezincote. Raymond Head, The Indian Style (London: George Allen and Unwin, 1986), p. 37. Neo-classical refers to the eighteenth and nineteenth-century revival of the architectural styles of classical antiquity, of Ancient Greece and Rome. It was based upon principles of simplicity, symmetry and perspective and found reference in the sixteenth-century works of Andrea Palladio. Nicholas Kingsley, The Country Houses of Gloucestershire, Volume 2, 1660 – 1830 (Andover: Philimore, 1992), p. 227 image caption. Patrick Conner, Oriental Architecture in the West (London: Thames and Hudson, 1979), p. 120. Gloucestershire Archives holds a wealth of papers, rent receipts and household accounts pertaining to the Sezincote estate, much still uncatalogued. The Bodleian Library also holds a significant collection of the Cockerell family papers. The Royal Institute of British Architects (RIBA) Drawings Collection at the V&A, London holds three letters from1810/11 from Thomas Daniell to Charles Cockerell which refer to the building of Sezincote.